Do you like to get your Saturdays off to an earlier start? Then Ashley has the perfect yoga class for you! Beginning on April 7, she will offer a 7 a.m. Basics-level class each Saturday! In this class, Ashley will draw on her Yoga For All training, which helps her personalize the class to everyone’s needs by using props and modifications. She looks forward to seeing you at the studio on Saturday mornings! 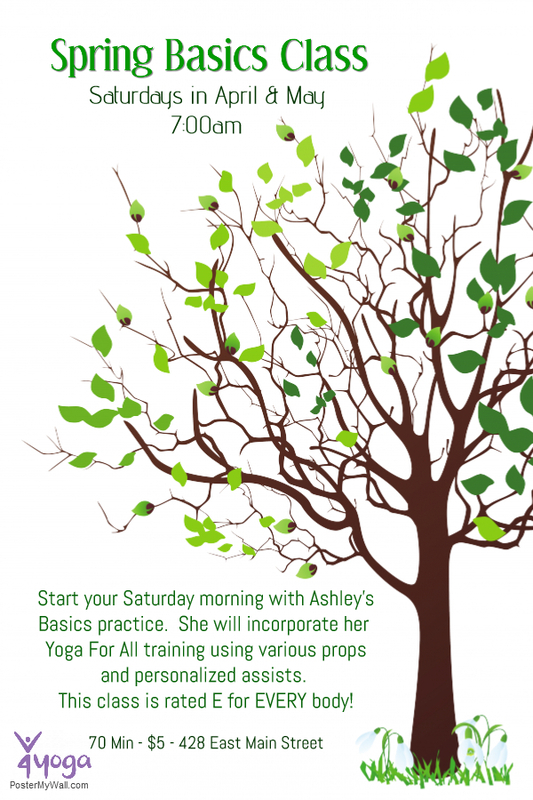 New Saturday Class: 7 a.m. with Ashley! This entry was posted in new class, schedule and tagged April, Ashley Chance Fox, May, Saturday, Yoga for All. Bookmark the permalink.